Generate THOUSANDS of fresh, unique content-rich webpages from highly-targeted keyword lists. Add extremely targeted auto-refreshing content to your website by using rotating keyword definitions and placing several rotating RSS feeds. 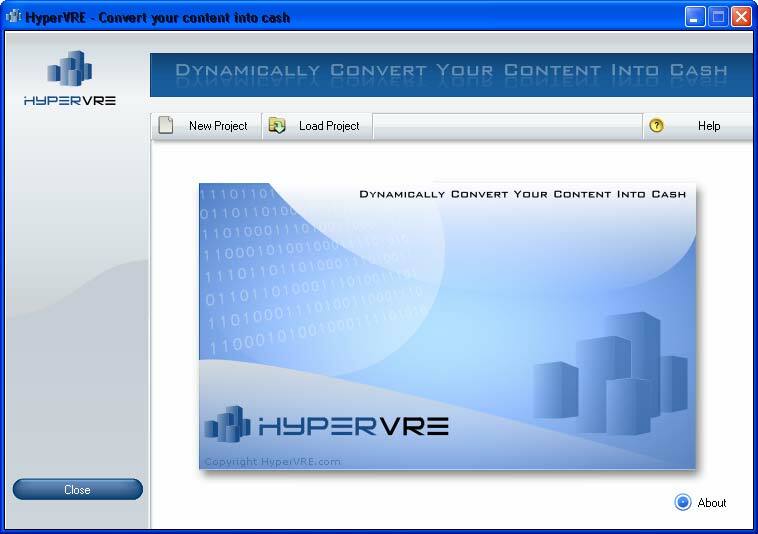 HyperVRE is free automatic website generation tool that produce real proven results. Your rotating keyword definitions will attract the SE spiders like ants at a picnic. -Keep your webpages fresh with unique content by placing several rotating RSS feeds to ensure that all pages are unique and highly related to the topic. -Insert your unique Google(tm) AdSense ads on each and every page. -Use the power of pay-per-click ads with the potential of affiliate payouts by creating contextual ad links within your content-driven webpages. Download our great tool now, it is free! Qweas is providing links to HyperVRE website generator 2010 as a courtesy, and makes no representations regarding HyperVRE website generator or any other applications or any information related thereto. Any questions, complaints or claims regarding this application HyperVRE website generator 2010 must be directed to the appropriate software vendor. You may click the publisher link of HyperVRE website generator on the top of this page to get more details about the vendor.